Brief synopsis: Teenage Willowdean is fat and she's not looking to change for anybody. She exudes confidence, but when private school Bo - the cutie she works with at the burger joint - starts giving her some extra attention, it makes her question a lot about herself and societal perceptions. So, to rediscover who she is, she enters the BFD beauty pageant that her mother won years ago, and inspires so many others around her to do the same. 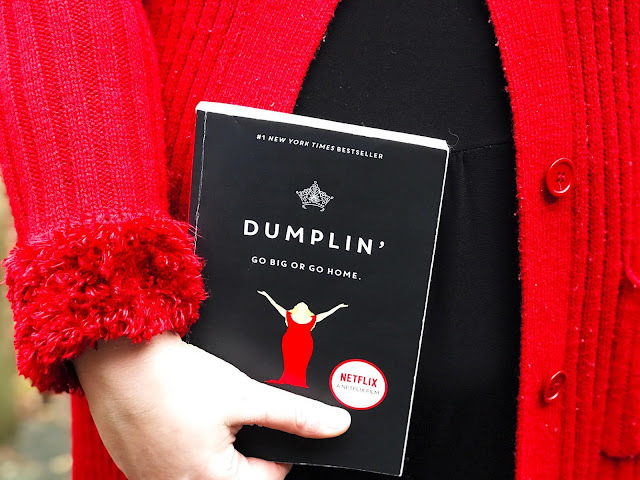 Dumplin' has been on my radar for quite some time, but nothing pushes you to read a book the way that an film adaptation does. Right? Right. I actually ended up getting two copies of the book in the two separate book swaps I participated in during the holidays, so it was the perfect time to pick up the book (and I immediately watched the Netflix adaptation just minutes after I finished the book). Let's talk a bit about body positivity (and yes, I'm aware that includes all body types - not just fat girls). 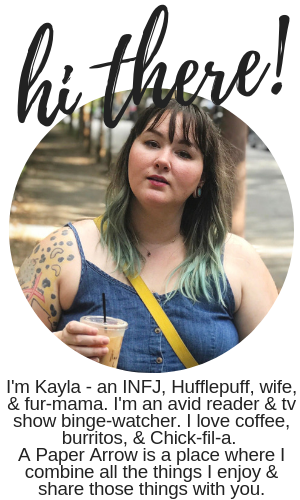 I am a fat girl, but in this weird place where I don't feel like I belong with any body type - so where do I fit in? But that's a scary, vulnerable conversation for a different time and place. Though this book is YA (which gets a bad rap for literally no reason - YA is amazing), and the main character is a teenager (15/16 yo), I really resonated with her. Willowdean is imperfect and judgmental, but she's a teenager and who doesn't judge in the slightest? I think her flaws in personality and the stubbornness in how she treats her friends at times really balances out the physical traits many focus on when talking about Dumplin'. She felt real, and she felt like me, and that really made me love this book. Oh, not to mention all the Dolly references! I'm from the south - I grew up with Dolly, so that's definitely another piece I really enjoyed about the book. The film adaptation, though I enjoyed it, I wish I had watched it before reading the book honestly. And watching it as soon as I finished the book was a mistake, because I was comparing to no end. If you've seen the movie, I would say the "relationship" between Bo and Willowdean feels incredibly awkward and forced, but it's so much better in the book - so don't discount it just by watching the movie. I'm obsessed with Willowdean and I'm so ready to jump into the sequel, Puddin'. Have you read it yet? Yes! And there's a sequel. It was such a great, enjoyable read and I loved it much more than the movie.